The environmental condition of every landscape supports a wide variety of insects that can be either beneficial or problematic. Some of the most common problematic insects include fleas, fall army worms, sob webworms, white grubs, ticks, fire ants, mole crickets and chinch bugs. Flying lawn insects can be hard to control since it is easier for them to quickly move from one place to the other and come back as they wish. However, professional lawn specialists like TORO Pest Management, can offer you effective solutions to keep your lawn free from these insects too. Lawn insect damage can be reversed using professional pest control and prevention services designed for the lawn at TORO Pest Management. You are better placed working with the best pest control Company like TORO to effectively deal with common lawn pests. Our company has knowledgeable, courteous and trustworthy technicians and support staff. Quick response, excellent customer service and guarantee on services are other factors that we can boast about. Insect identification – There is no way a lawn specialist at TORO will just get into lawn insect control without first establishing which pests are within the area of interest. An inspection will therefore need to be done to analyze the shrub areas and the lawn to find out which insects are present. This inspection also finds out what future insect infestations are probable as a result of available conducive conditions. 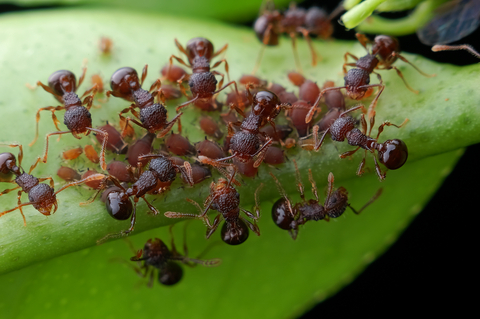 The type of infestation is identified in this stage to determine the best control methods. Lawn insect identification is a very important stage in any control or prevention program. Program creation – After finding out what insects are present in your area, you will get a detailed report on what was found and the most suitable measures to be taken. The control and prevention program will be created to match your specific landscape needs. This increases the success rates of the efforts put in place by the professionals. The control – Power lawn sprays and broadcasting of granules are the commonly used methods in controlling lawn insects by TORO. Some of the equipment used in the application process are backpack sprayers, power spray rigs, hand applicators and rotary spreaders. The choice will depend on the insects present and the method your technicians feel is best in controlling and preventing the insects. Our professionals use lawn insect control safe for pets so you don’t have to worry about them during this process. Follow-ups – After controlling the lawn insects using the best lawn insect control products and methods, our technicians might come back to follow up on the progress of the lawn and effectiveness of the services offered to you. If anything extra needs to be done, then they will decide from these visits. You will also get advice on how to improve the beauty and health of your landscape and minimize chances of harmful pest infestations. A courteous, knowledgeable, technician and support staff. Quick response to your calls, usually within 48 hours. A company that cares about you, the customer. TORO lawn specialists will come to your aid as fast as you need them to. They are trained and knowledgeable enough to handle all kinds of lawn insects. They will not only control existing insects, but also offer preventative solutions to keep your lawn beautiful and healthy.